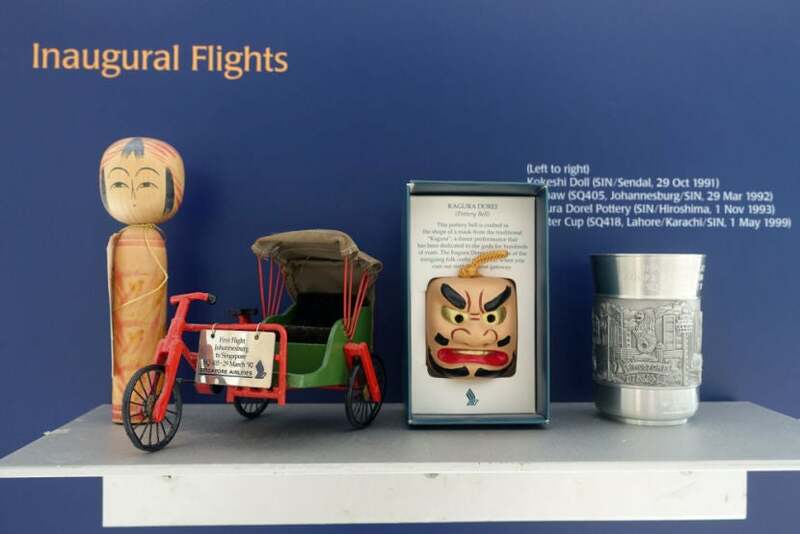 Asia has no shortage of excellent airlines, especially when it comes to business and first class, but Singapore Airlines is consistently ranked one of the world’s best. 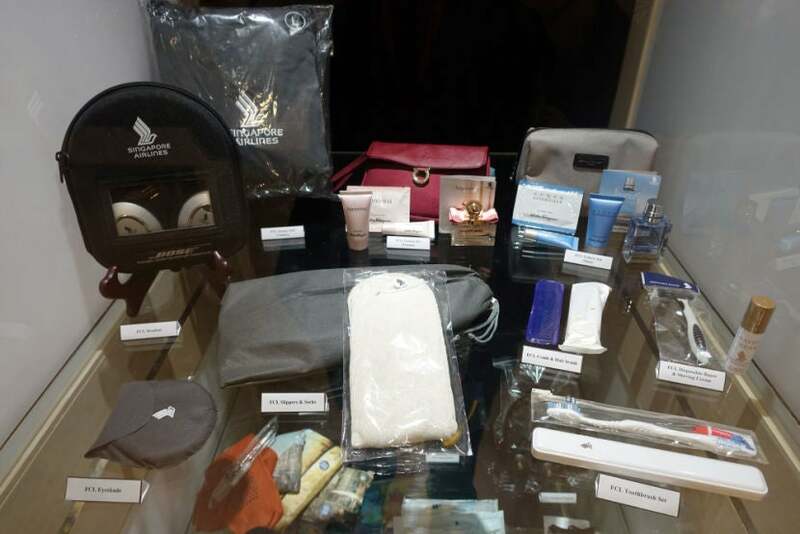 Singapore’s A380 Suites class is a TPG favorite, and if you have transferrable credit card points, it’s an “aspirational” product that’s very much within reach. 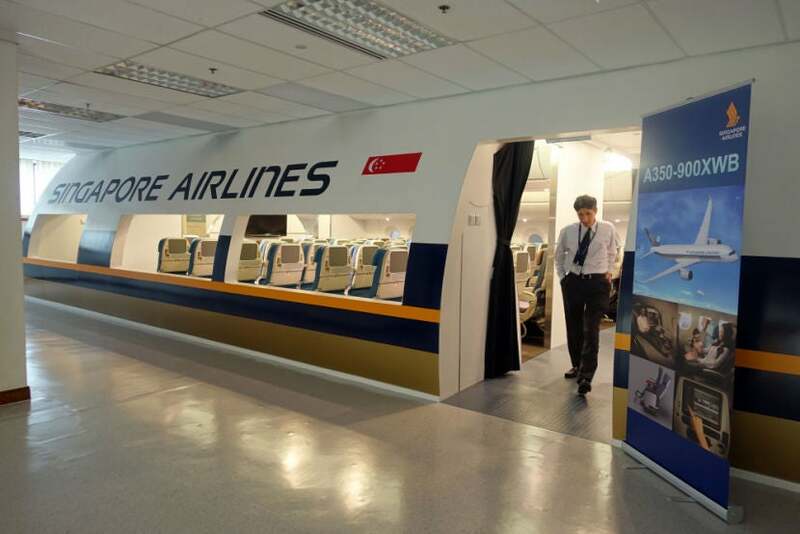 During my recent trip to Singapore (for United Airlines’ inaugural 787-9 flight from San Francisco and a Singapore Airlines A380 business-class flight home), I had an opportunity to tour Singapore Airlines’ gigantic crew training center — located just around the corner from Changi Airport (SIN) — with the carrier’s communications head, Nicholas Ionides, as my guide. 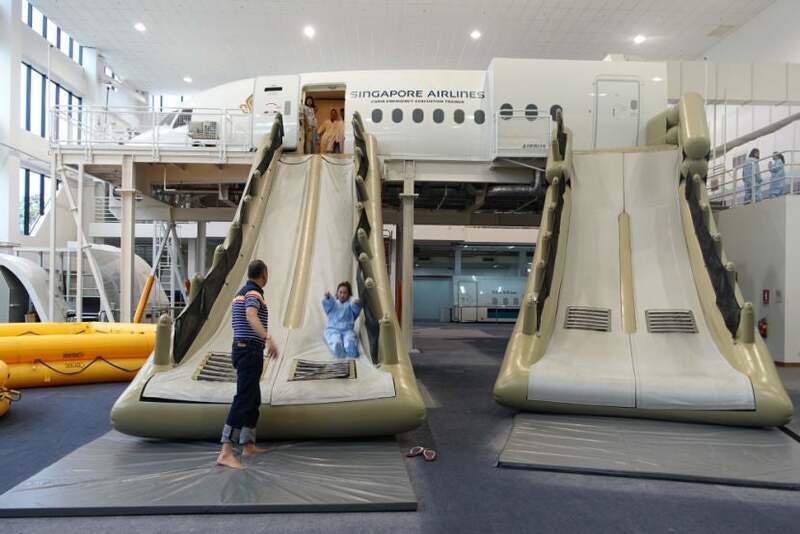 After a 90-minute visit to SIA’s fantastic facility, it was clear that the airline doesn’t cut any corners in its quest to remain one of the world’s best. My tour began in the training center’s lobby, where visitors are greeted by several exhibits showcasing Singapore’s history and service. 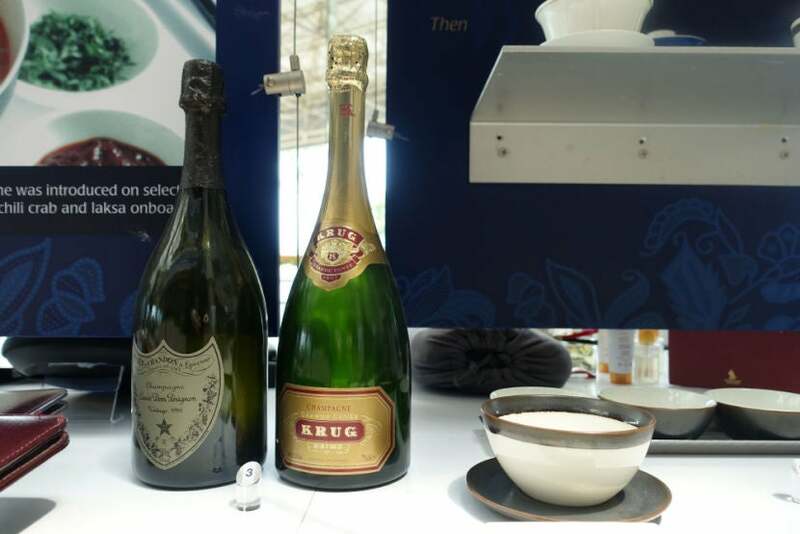 For example, did you know that SQ’s been offering first class passengers a choice of both Dom Perignon and Krug Champagne since 1992? Or that the airline offers far more than a photocopied certificate to celebrate its inaugural flights? Or that a Singapore flight attendant greeted visitors at London’s Madame Tussauds? Lim Suet Kwee’s wax likeness is now on display at the SIA training center — she still stops by once in a while to freshen up her life-size model. If you manage to visit the facility, be sure to stop by the second-floor exhibit! There’s plenty to see at the training center, but given that Singapore Airlines very recently launched service with the brand-new Airbus A350, which will soon fly to San Francisco, I was most excited about checking out that aircraft’s full-scale cabin mockup — the next best thing, since I didn’t have time to fly the A350 itself. 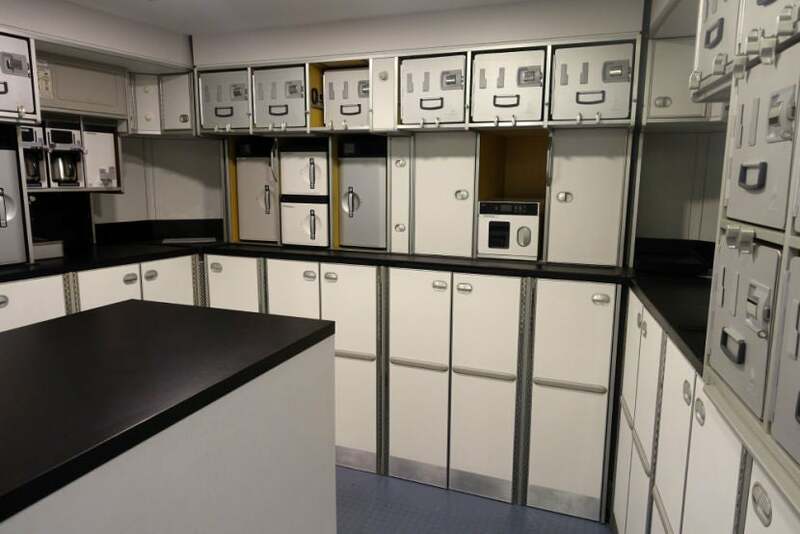 Much of the facility is dedicated to flight attendant training (and frequent re-training). There are full-scale mockups of many different cabins, including the A350-900XWB — a very recent addition. 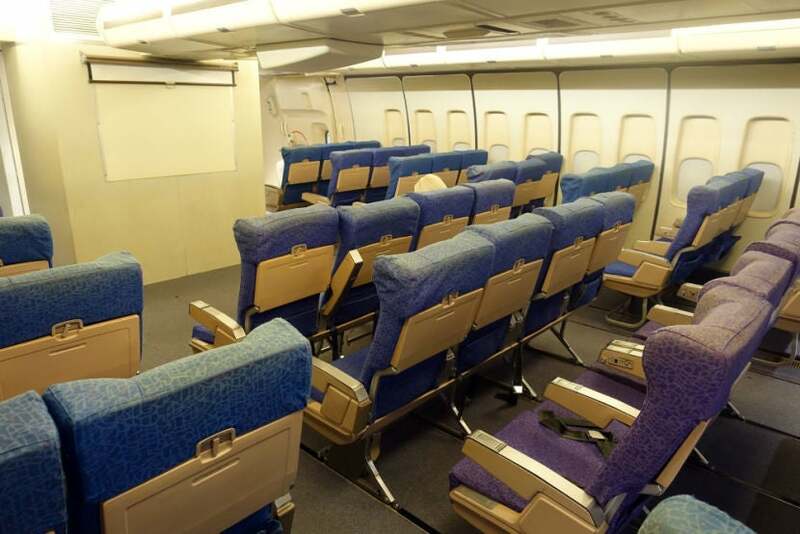 The mockup consists of seven rows of economy seats in a 3-3-3 configuration. 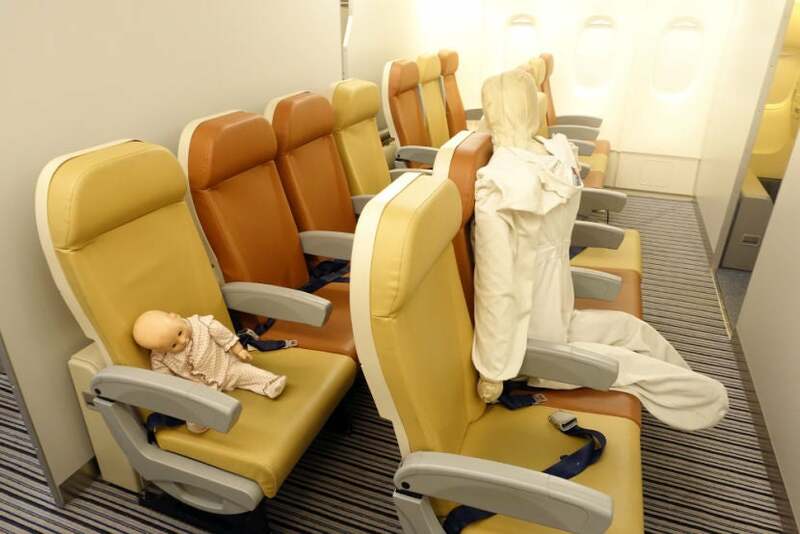 They’re the same seats you’ll find on the actual plane. 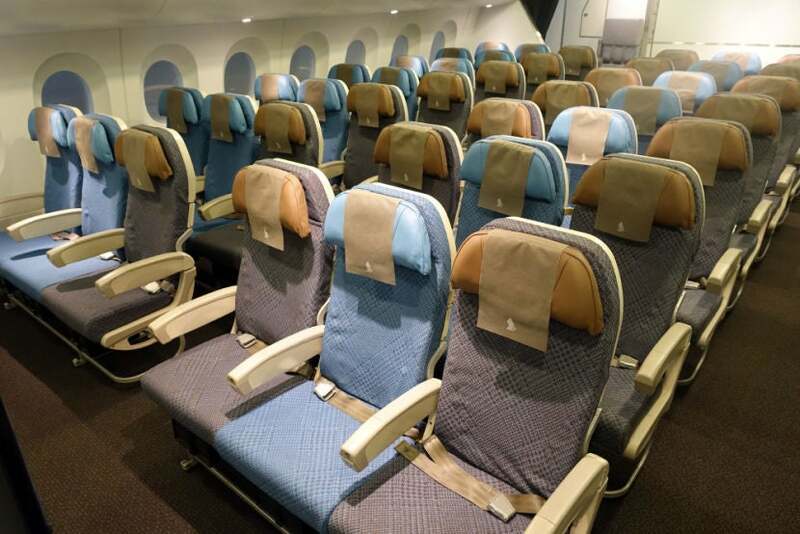 There are also a couple of rows of the airline’s new premium economy seats — these are arranged in a 2-4-2 config on the A350. 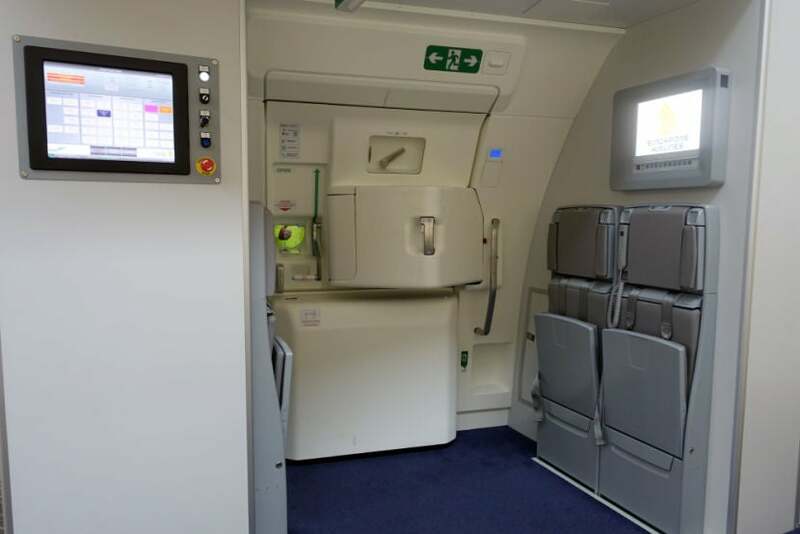 The A350 mockup also has a full-scale galley, with working appliances so flight attendants are familiar with the gear before they step onboard. The only thing the cabin’s missing, really, is seat-back entertainment — you’ll find this on the actual A350, of course. 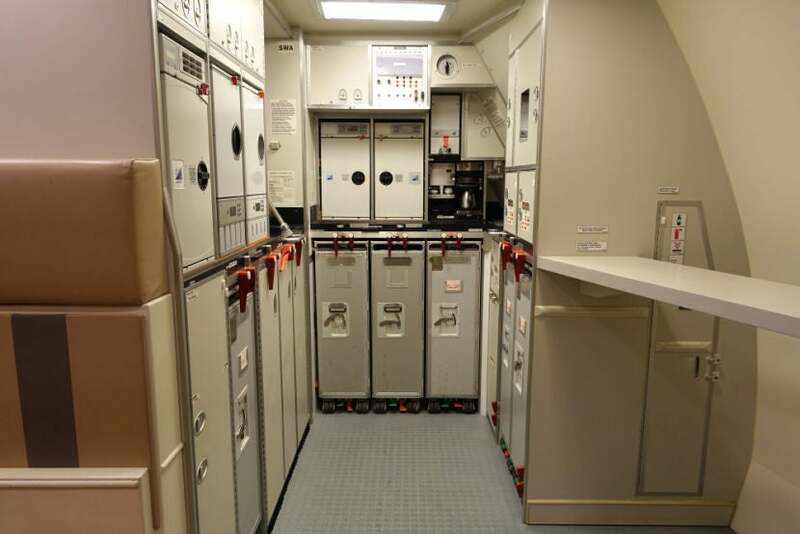 Flight attendants learn passenger service techniques in these full-scale mockups, which differ a bit from one cabin to the next. 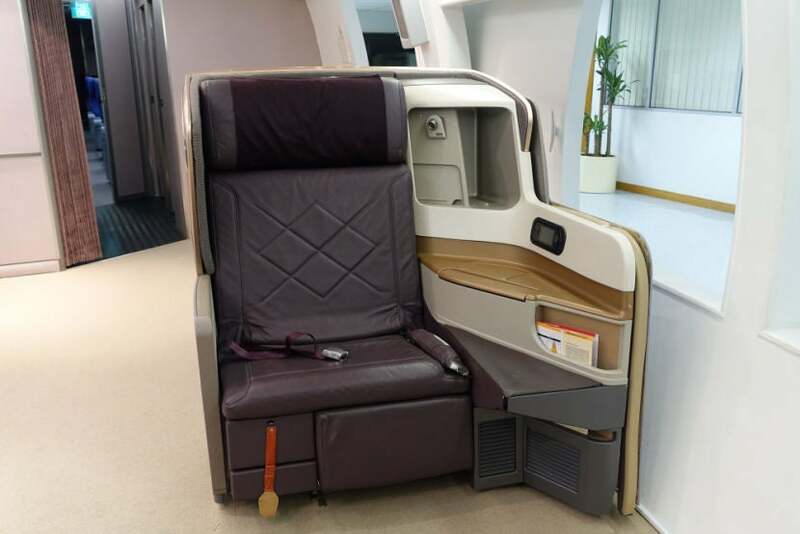 Singapore has mockups for each of the cabins it offers. 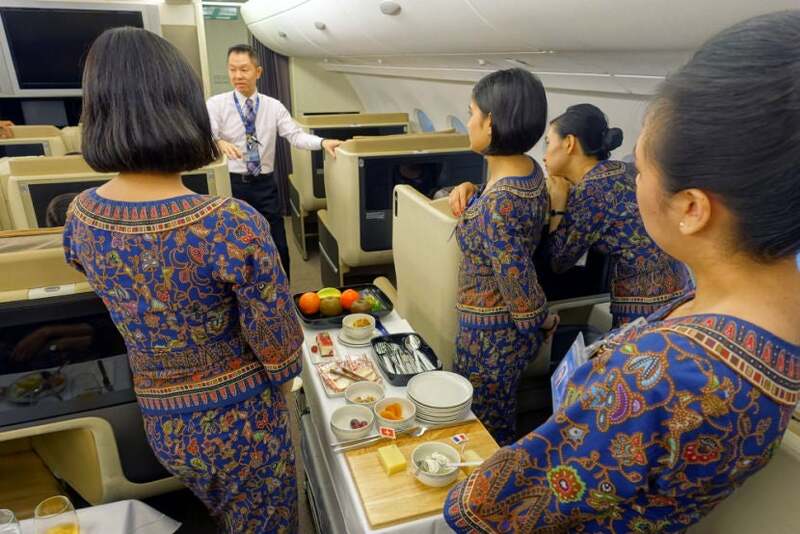 All flight attendants begin their careers working in economy — after several years there, they can begin training to work in business, followed by first (and Suites) class. 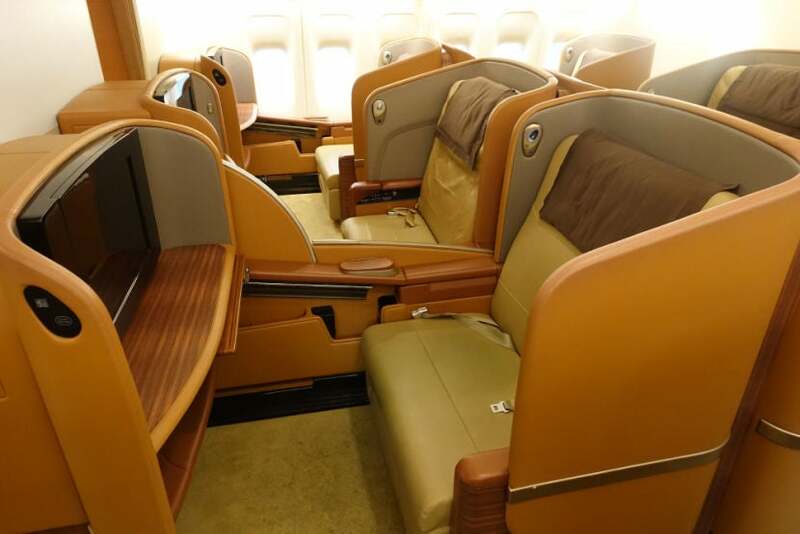 First, we’ll take a look at the “old” 777-300ER first-class cabin. From this angle, it’s impossible to tell that this isn’t on an actual 777. 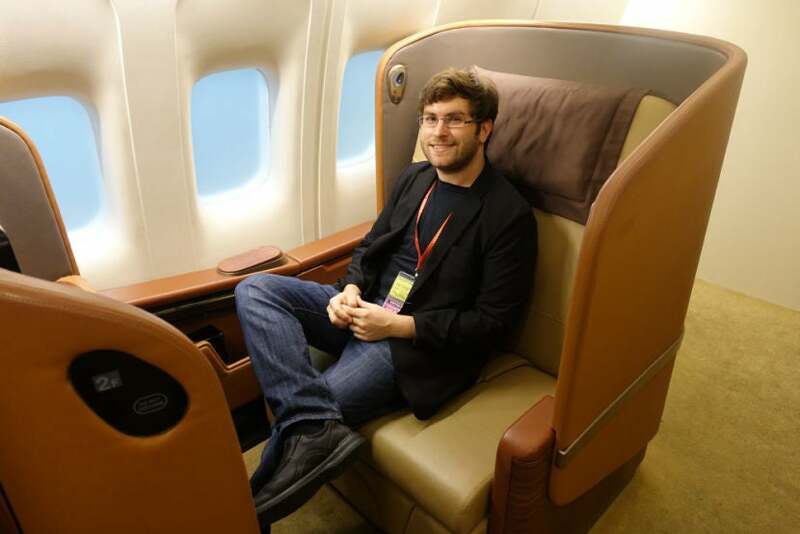 These first-class seats do include in-flight entertainment screens, but they aren’t hooked up. They’re just as comfy as the real thing, though! Again, at the back of the cabin, there’s a fully functional galley. 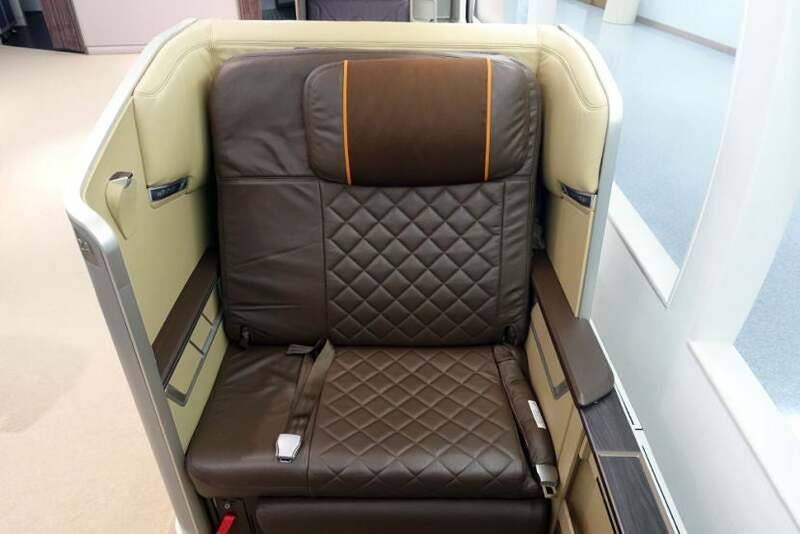 Singapore also has standalone models of its new first-class seat, available on select 777-300ERs. 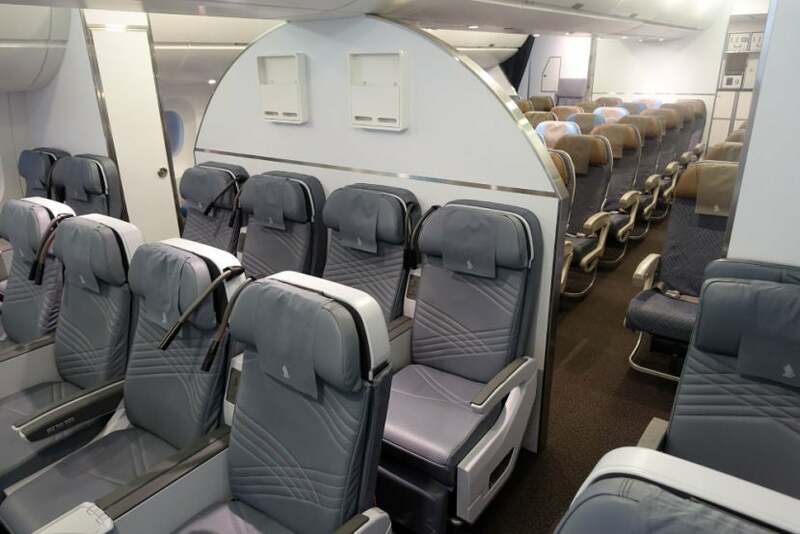 And the new business-class seat as well, which is also rolling out to the 777-300ER. 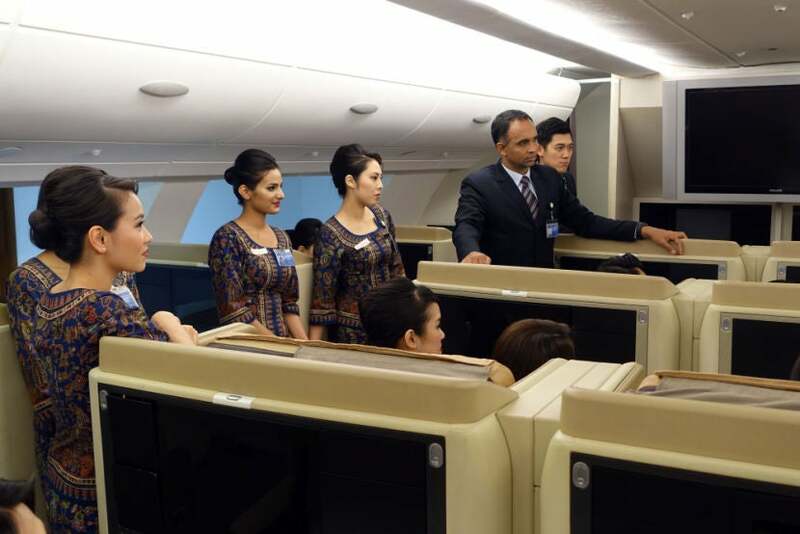 Flight attendants wear their regular uniforms throughout the in-flight training. 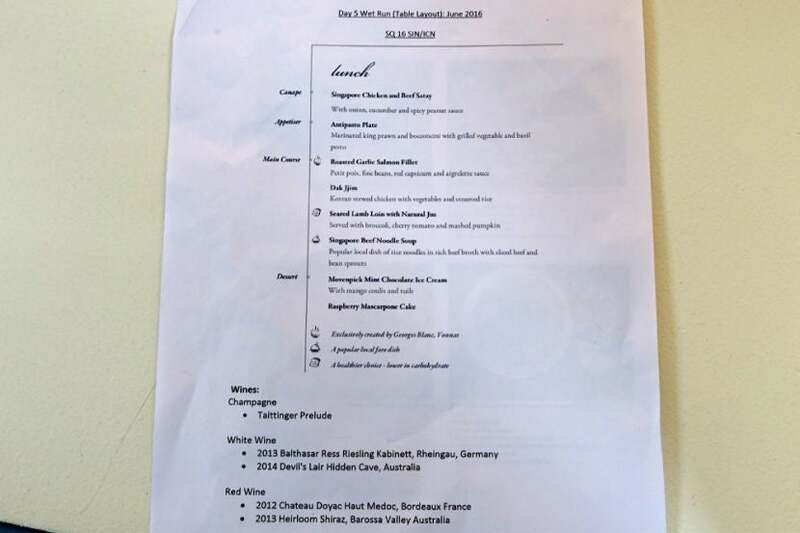 The mock flight even had a real menu, which flight attendants took turns serving. 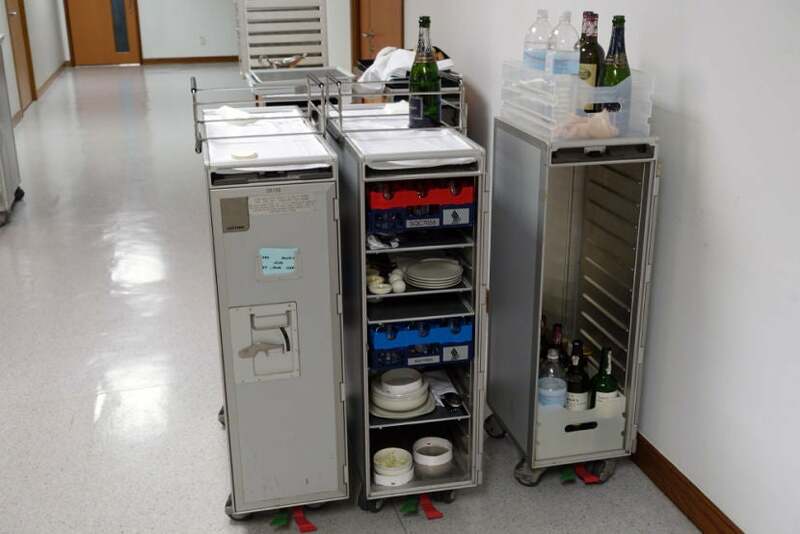 All of the real service items make an appearance, though alcoholic beverage containers are filled with juice instead of booze. Instructors provide feedback throughout the service, giving flight attendants an opportunity to learn and practice new techniques throughout the day. 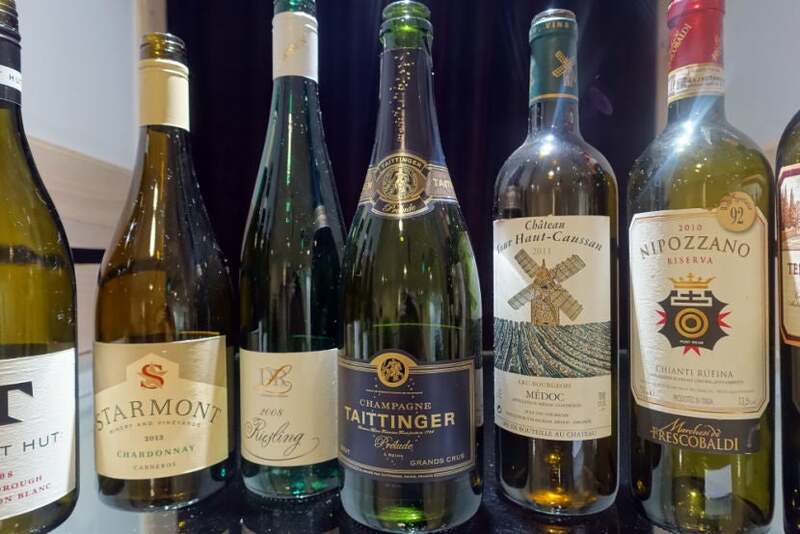 Wine and Champagne bottles are on display around the corner, so crews can get a feel for all of the items served onboard. 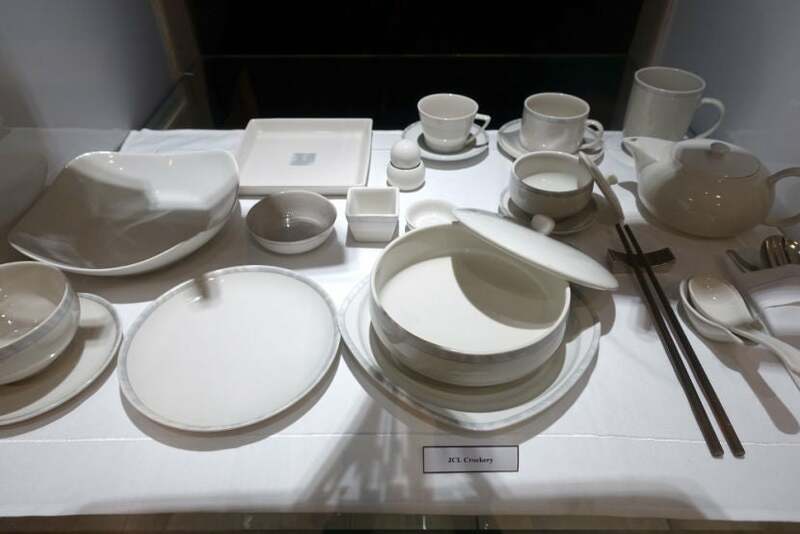 Plates, bowls, tea cups and utensils are on display for trainees, too. 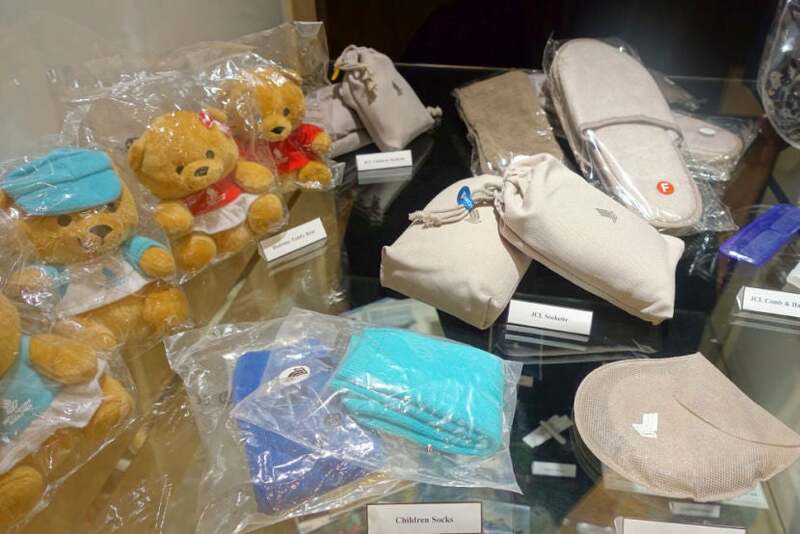 As are amenity items and gifts that may be available for the airline’s youngest passengers. There’s a huge variety of amenities and other gear to hand out — the display cases are definitely worth a stop. 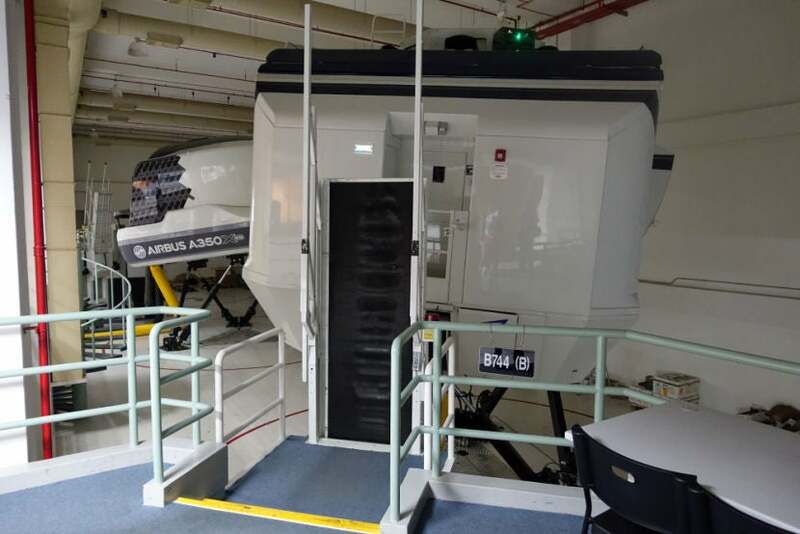 Perhaps the most important component of the training facility is the flight simulators, used by Singapore pilots and those working for the airline’s subsidiaries. 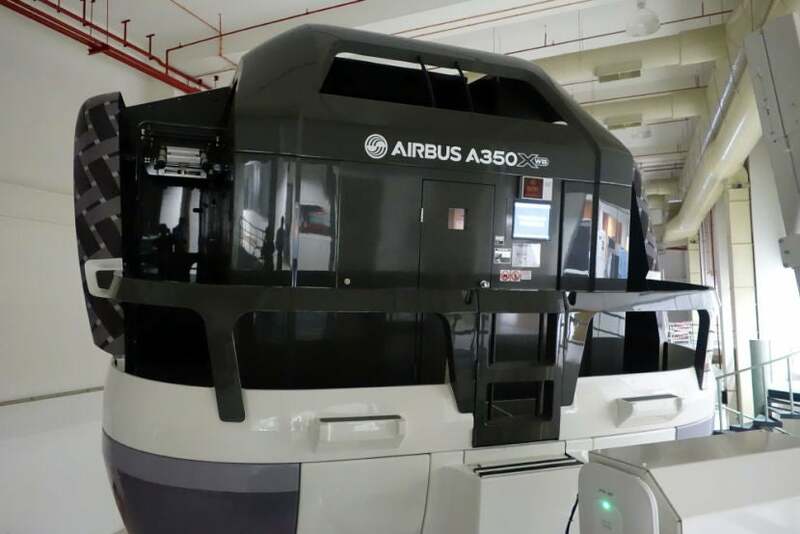 At this particular training center, the airline has a few simulators on hand, including for the the Airbus A350 and another for the Boeing 747-400 (used for cargo operations). 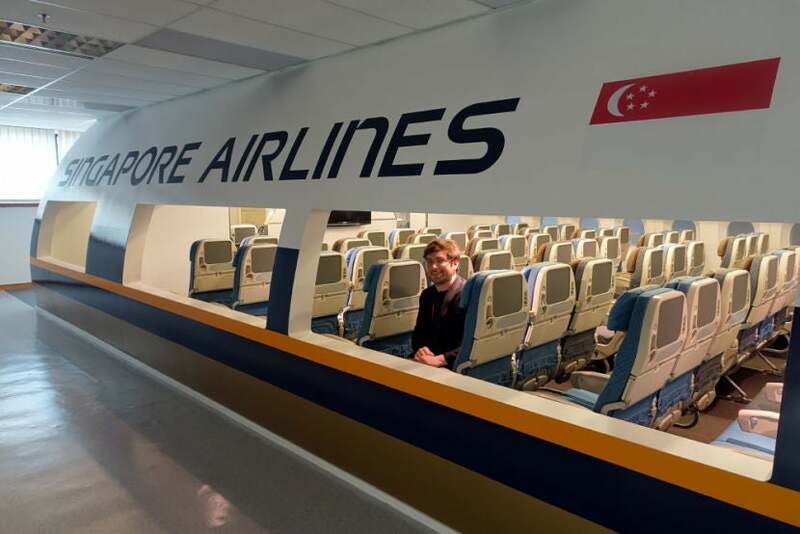 The Airbus A380 simulators are located at another facility down the road. 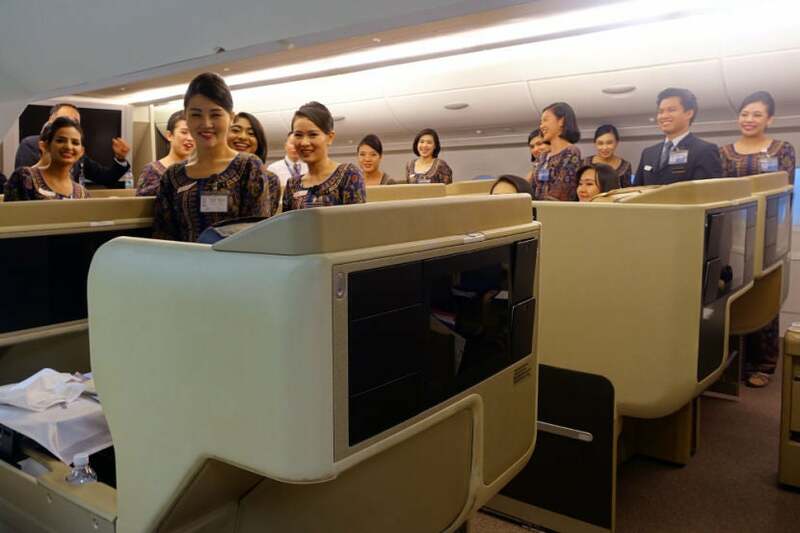 Singapore Airlines flight attendants are there primarily for your safety, but they also go above and beyond to make sure you’re happy from takeoff to touchdown — even in economy. That said, safety is a core component of each flight attendant’s 15-week initial training program. 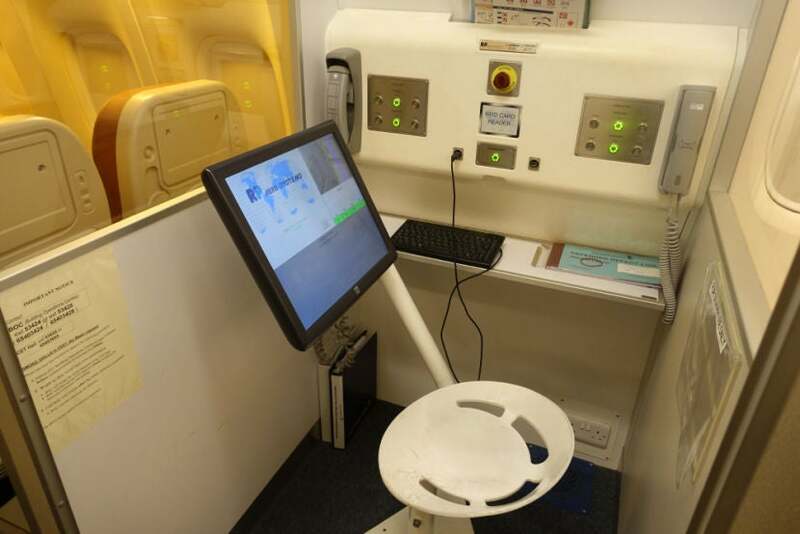 Flight attendants learn to use the emergency slides during their initial classes, and during periodic recurrent training as well. Because the slides can cause contact burns, students wear special protective suits. 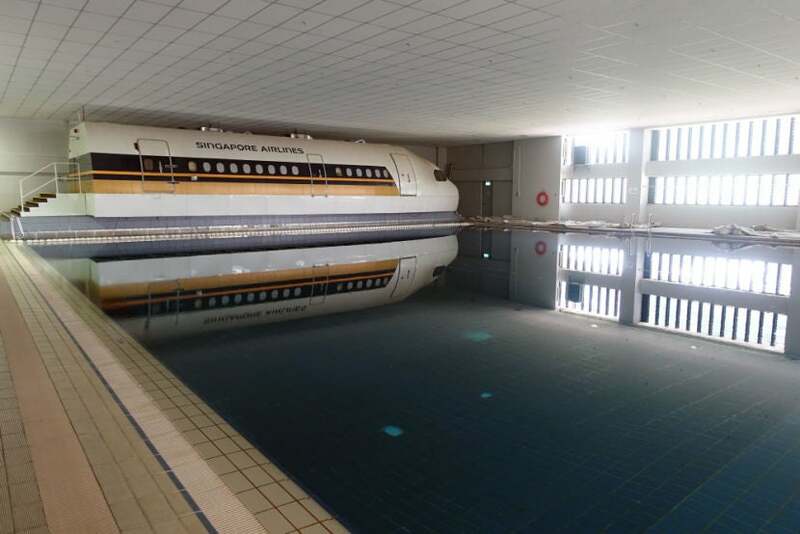 Flight attendants also practice emergency water evacuations in a realistic wave pool just around the corner. 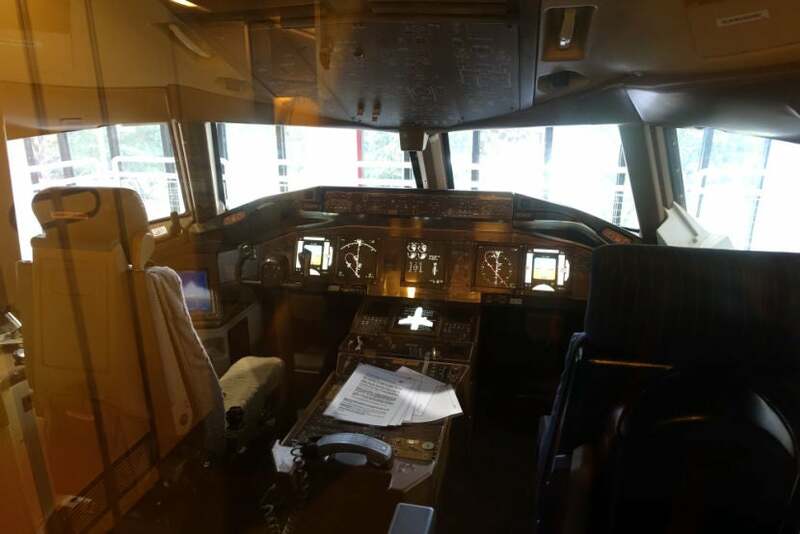 There are cabin simulators in this section as well, used to practice emergency procedures rather than in-flight service. Some of the equipment is incredibly low-tech. 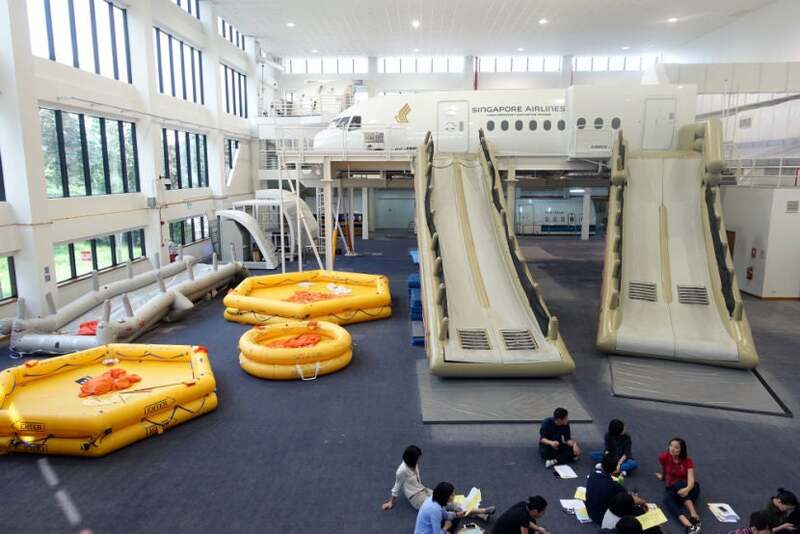 There’s also a trainer modeled after a 747’s 3-4-3 economy cabin — even though Singapore doesn’t fly that aircraft type anymore, it can still be used for basic instruction, such as performing CPR on a non-responsive passenger. One trainer even includes a cockpit — though pilots complete their flight training in full-motion simulators, instead. 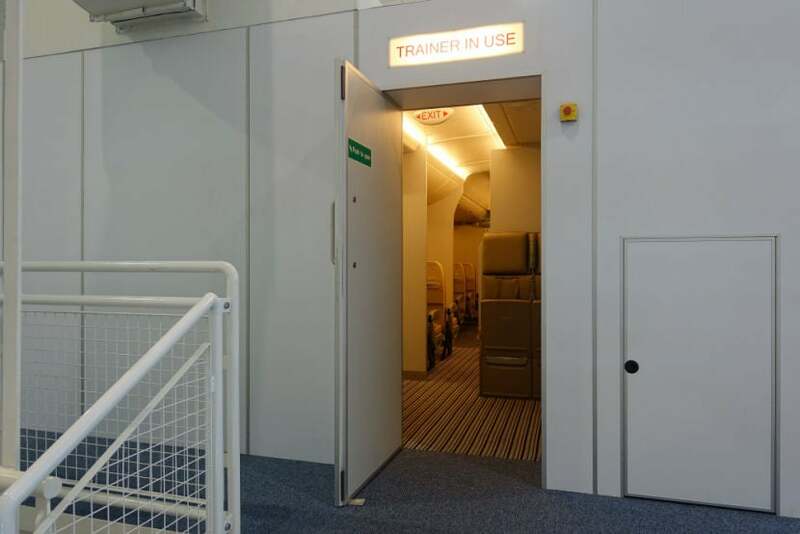 In a separate area, flight attendants practice opening and closing aircraft doors in a realistic environment, complete with the sound of an emergency slide inflating. 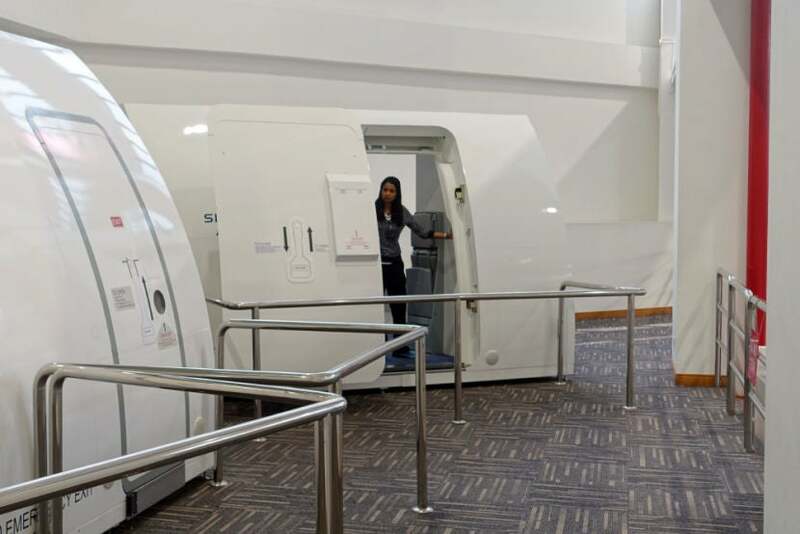 Here’s what it looks like on the other side of the door — in this simulator, flight attendants learn to operate an Airbus A350’s exits. 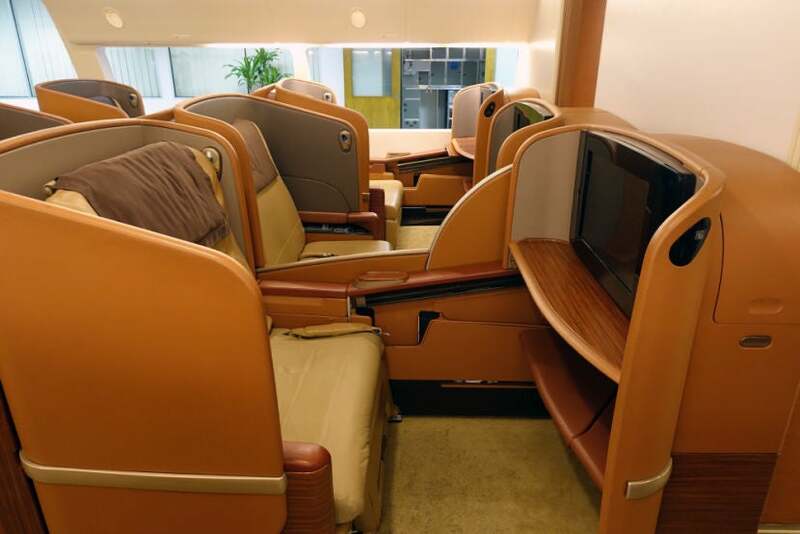 Singapore Airlines is known for offering fantastic in-flight service, and this huge training center makes all of that possible. Having had an opportunity to tour the facility made me really appreciate the crew’s efforts during my 19+ hour trek from Singapore to Frankfurt and finally home to New York-JFK just a few days later. 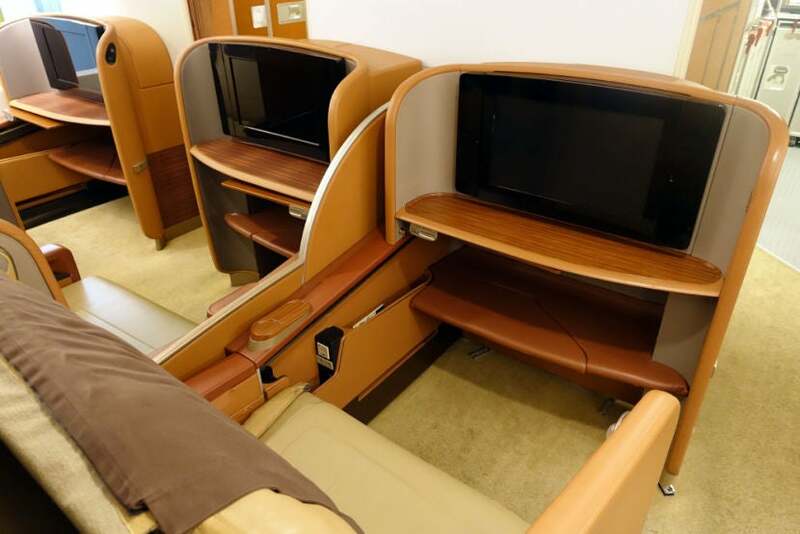 With Singapore Airlines re-launching nonstop service to the US later this year, even more US-based passengers will have an opportunity to fly the airline — as you’ve probably gathered from this tour, and our Suites and business-class reviews, you’ll be in for a real treat. 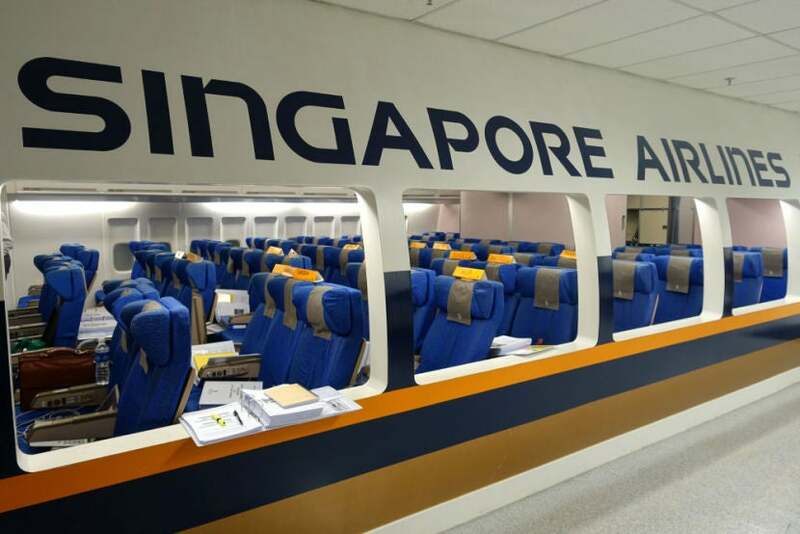 Have you experienced Singapore Airline’s long-haul service?